What Are Performing Rights Organizations & Which One Is Right For You? Performing Rights Organizations or “PROs” help songwriters and music publishers get paid for the usage of their music by collecting performance royalties owed to them anytime their song is played on radio stations (terrestrial, satellite & internet), used on TV shows or commercials or performed in live venues (clubs, restaurants, concerts, etc.). The radio stations, TV networks and venues pay the royalties in the form of a license fee to PROs like ASCAP, BMI and SESAC, who then distribute the money to the affiliated songwriters and publishers. 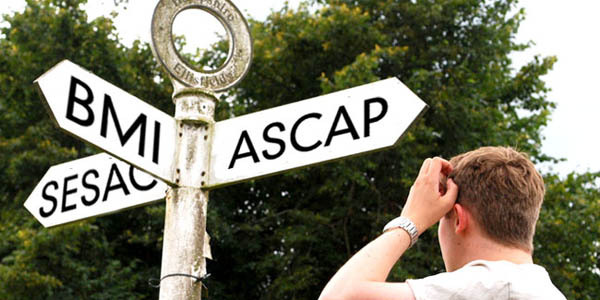 There are three major PROs in the US—ASCAP, BMI and SESAC. PROs only collect performance royalties; PROs do not collect mechanical royalties, synch fees or digital performance royalties associated with the creation of a master recording (digital performance royalties are collected by SoundExchange). Artists/songwriters can only be a member of one PRO at a time; publishers can be a member of multiple PROs if they publish multiple artists. How Do I know Which PRO is Right For Me? Choosing the right PRO is a very important decision, but one that must be made on a case-by-case basis. All three PROs offer special member benefits (i.e., health and instrument insurance) and special discounts (on travel, software, subscriptions, gear and associations), so the PRO that offers the benefits and best rates would be the best option for you. You should also take into account what you want to get out of your career and your membership because all three offer annual workshops, conferences and showcases for networking and collaboration opportunities. ASCAP is proud of the fact that their Board of Directors are elected by the members so their members feel like they have a real voice and someone really looking out for their best interests. ASCAP also offers the ASCAP PLUS award, which is a grant for artists who make less than $25,000 in royalties. They also boast about being the “fairest and most objective” payment system and the “lowest operating costs in the biz”. BMI stands behind the assertion that they differ from the other PROs because they help develop and support their members’ careers. Only songwriters can join online, publishing companies must submit a paper application. 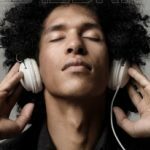 SESAC on the other hand, chooses you; they are the smallest PRO in the country because it is not open to all songwriters and you must receive an invitation to join. 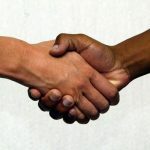 They have a selective affiliation process that seeks to sign writers who are professionals and really serious about their writing careers (you can contact a rep about getting an invitation). They also boast “personal relationships” between the members and the SESAC staff and being the fastest growing and most technologically adept PRO. When choosing the right PRO, you have to do your research to find the best fit for you. Be aware of what makes each PRO different, but also know what you want to get out of your membership. Research Contributor: La-Vaughnda A. Taylor, Esq.